Francis Morris, Consultant in Emergency Medicine, Northern General Hospital, Sheffield, UK. Lead editor of ABC of Clinical Electrocardiography. 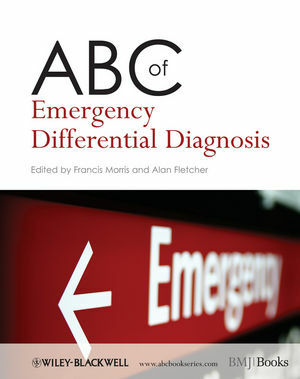 He is the Clinical Director of the Chest Pain Unit in Sheffiled and has written four book on aspects of emergency medicine. He is a regional representative of the British Association of Emergency Medicine. His main research interests are the management of chest pain, DVT and pulmonary embolus. Alan Fletcher, B Med Sci(Hons), MB ChB, MRCP, FFAEM. Appointed Consultant in Acute General Medicine and Emergency Medicine in 2004, Alan has clinical responsibilities in the Emergency Department and Medical Assessment Units. He is Sheffield Teaching Hospitals' Clinical Lead for Acute Medicine, Training Programme Director for Acute Medicine in the South Yorkshire Deanery, and Foundation Programme Director. Apart from an active teaching responsibility, he has research interests in the assessment of Nurse Practitioner competence and the value of acute medical admission.